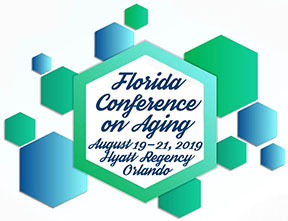 The Florida Conference on Aging is the largest multidisciplinary aging conference in Florida. We are seeking volunteers to assist in different capacities at the annual conference. Volunteers are invited to participate in all workshops on the day they volunteer (Intensives and Luncheon events are not included but tickets to these events can be purchased at reduced cost). Sunday volunteers are invited to attend the Monday, August 19th 1:00 PM Plenary Session and afternoon workshops. For questions and more information contact Vivian Weber at [email protected] or 850-222-8877.